The best way to buy Dermalogica products is with the help of a qualified therapist from an approved Dermalogica salon. Some advertisements—even some that appear on this site—promise mail order discounts. 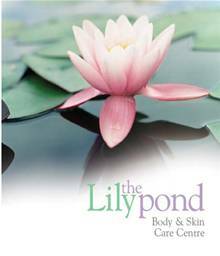 At the Lily Pond, you will receive a personal assessment specific to your skin type and addressing your particular concerns, with free samples so you can test your prescription at home. Then, if you go on to buy Dermalogica products, you will often find that regular special offers (usually linked to the fact that you have entrusted your skin’s well-being to us) will compete with anything you can achieve through mail order. And, of course, you can take them away there and then: no waiting , no risk.